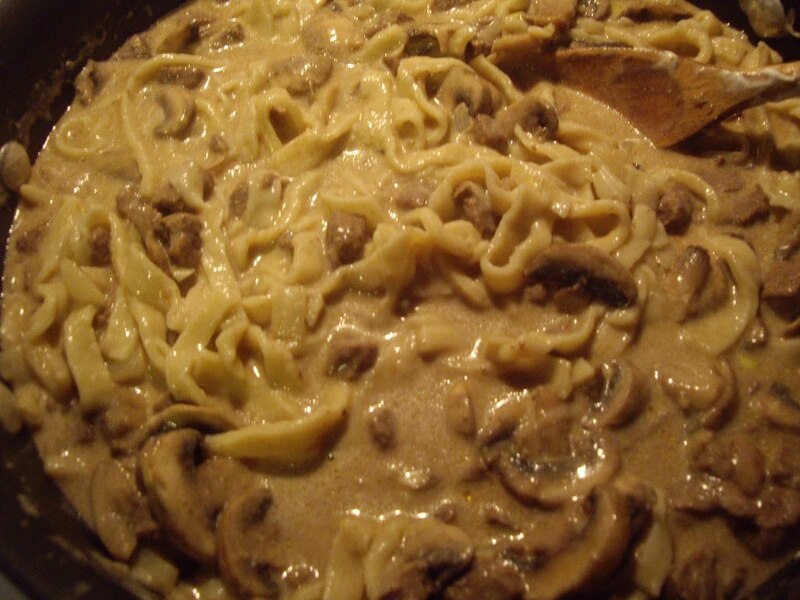 Beef stroganoff is great comfort food. It is great on a cool day or any day actually. You don’t need to buy expensive beef tenderloin for this meal. Use stew meat or even a roast instead. Melt the butter in a dutch oven over low heat. Add the meat and cook and stir until browned. Set aside 1/3 cup beef broth. Pour the rest into the pan with the meat. Add the ketchup, salt, and garlic. Cover and simmer for an hour. Stir in mushrooms and onion. Cook for 5 minutes until onion is tender. Add the flour to the reserved broth and stir til smooth. Stir into beef mixture and heat to boiling. Stir the whole time. Boil and stir for 1 minute. Stir in the cooked noodles. If you want to use a tender cut of meat to save time, use beef tenderloin and simmer it with the broth, ketchup, garlic, and salt for only 10 minutes before finishing the dish.